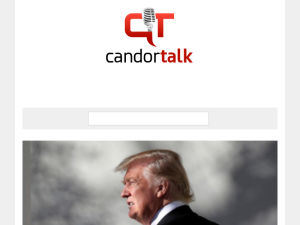 Blog Discription: Candor Talk is a radical leftist-progressive blog and talk show that aggressively challenges those issues in both Democratic and Repubican Parties. We unabashedly cover issues the mainstream media refuses or fails to cover. We also expose issues of corruption in our government and media. We take a very firm stance on issues and are unafraid of controversy or controversial positions.